Strong Tower Insurance Group is your trusted independent insurance firm across all 50 states. As an independent insurance firm we have great relationships with many well-known, reputable insurance carriers, giving you the power of choice. Focusing on Customers and Valuing People, Strong Tower Serves. We are here when you need us most – when life goes haywire and you desperately need a trusted friend to help. We are that friend, standing with you side by side. We are not a voice at the end of an 800 phone call. We are a highly dedicated independent insurance brokerage with a mission and a passion to help you. We are committed to providing superior customer service and quality insurance coverage to business owners, families and individuals. We are the Strong Tower Insurance Group. You have a choice of insurance carriers, and we deeply appreciate that you are considering us. So why switch? Our customer service is second to no insurance company. Our fresh, creative ideas can improve your coverage and save you money. Our carefully selected insurance carriers are among the highest rated anywhere. Some day you may need people like us and carriers like ours when it counts most, we will be here. We truly believe our mission is to serve you, and we work hard to be fair and honest and respectful. We serve with integrity and professionalism and believe in building long-lasting relationships. Naysayers might argue insurance is all about marketing and numbers. We strongly disagree. We are here to serve you with new concepts and ideas that are backed by old-fashioned human values. Our culture is all about you. This is what separates us from everyone else. Our goal is to earn the trust and confidence of those we serve. This is why we can offer great coverage at competitive prices. Give us a try. You’ll like what you get. In 1989, our Uhlhorn Family said goodbye to the frozen tundra of Windom, MN and hello to the Valley of the Sun and Gilbert, AZ. Leon and Suzie Uhlhorn brought 4 children and 10 years of experience with American Family Insurance Company to establish a new AMFAM office in the Val Vista Lakes community in growing Gilbert. Between 1989 and 2010, our group of insurance professionals served the needs of both clients and community by living the philosophy of giving before getting. The Uhlhorns’ growth came naturally as word of our integrity spread causing the need to add staff and office space and eventually leave the AMFAM (or Captive) insurance model due to limitations in risk management offerings and competitive pricing. Our incredible clients followed us to the much improved Independent Broker model we have today. 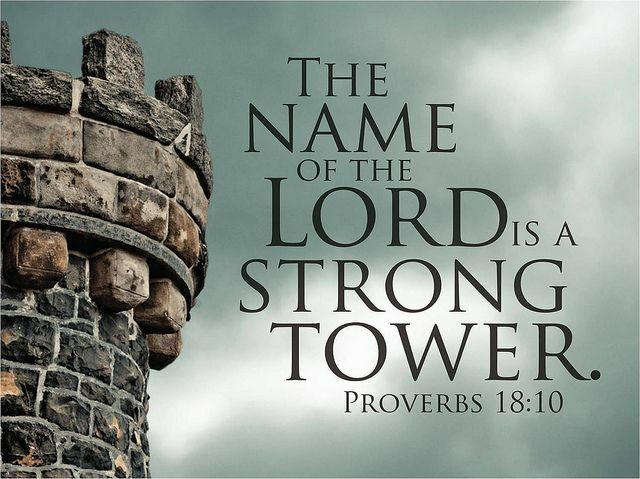 Proverbs 18:10, “The name of the Lord is a strong tower.” Our faith-based organization welcomes all and serves all. We believe what you keep will perish and what you give will prosper. We give back to the community often and in many ways. More Options. Better Value. Real Human Agents. Why use an Endorsed Local Provider? Being a Dave Ramsey Endorsed Local Provider is not easy; it’s hard work because ELPs are held to a higher standard of excellence. ELPs have the heart of a teacher, so you can trust your ELP to provide top-notch customer service. No one likes to be talked down or made to feel as if they don’t matter. ELPs take pride in the fact that they treat each Dave fan like a friend. The ELP program is designed to help you save money! It’s simple, if this program didn’t benefit you, we wouldn’t do it! At Strong Tower Insurance Group, we strive to provide a true, concierge client experience which is unique in the insurance industry. We give clients the power of choice from top-rated national and regional insurance carriers. We offer comprehensive insurance solutions across all 50 states.